I found these blasters on the way to see the eclipse. They've shown up on the website at Toysrus, but aren't supposed to be on shelves until Sept. 30. At least that's what the system flagged when I went to the checkout. Since they were already on the shelf, though...I got the manager override, followed by a call to the the back asking why they were out. I only bought the large combo. All the new Stats Blast products say Powered by PT-DZ, etc, so Prime Time Toys is their main supplier for the in-house brand this year. Aside from carry-over products from Zuru and such, obviously. 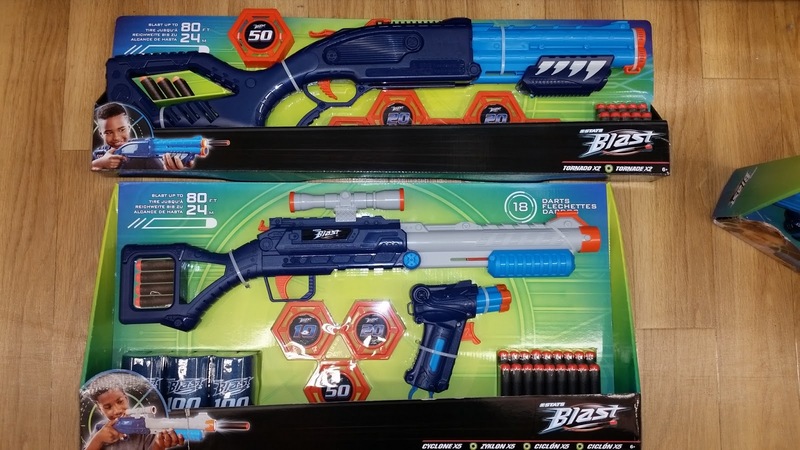 The two smaller, slam-fire only blasters have been on the shelf for months now, and I recognize them as being on shelves perhaps seven years ago, but have yet to try them. The new take on the Flipfury/Xcess double cylinder pistol should also be interesting. $35 is high, but I'll spend it for science. Meanwhile, the Cyclone X5 set ($20) and Tornado X2 pack ($15) all feature reshells of past Dart Zone blasters or recolors, in the case of that Trifire. 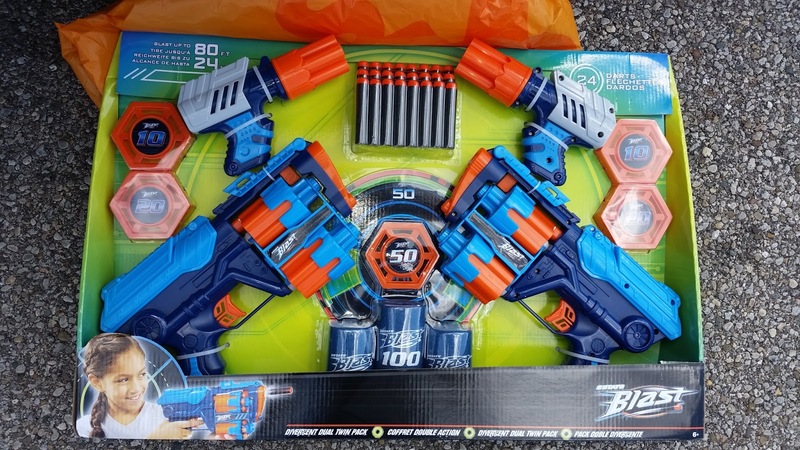 Finally, we have the Hurricane Blaster Pack, clocking in at $50. 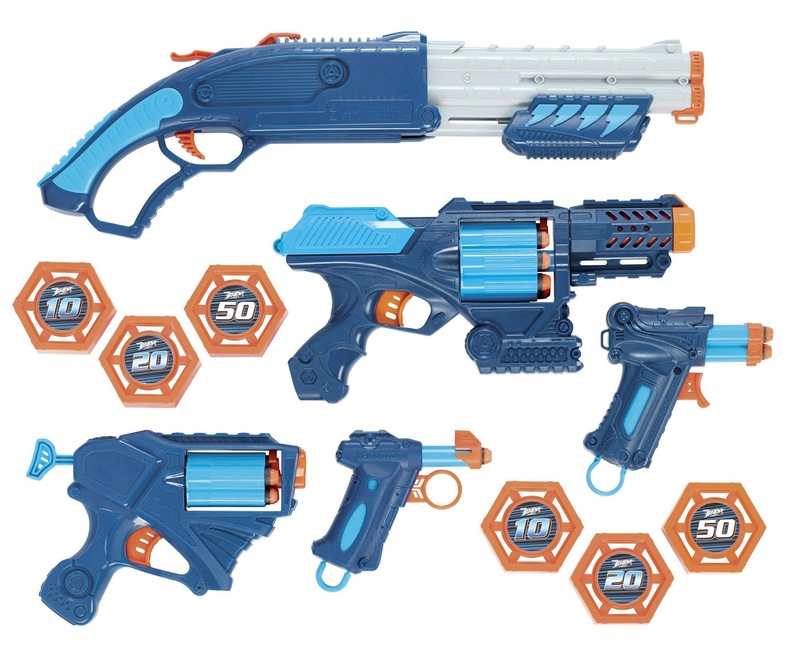 These are all blue versions of previous blasters, and frankly sit at an outrageous price. I know ToysRUs tends to have a markup, but this should be $35 at most, considering their individual prices at release. In the few cases where defective or unsafe toys have actually made it into the market they were recalled fairly quickly. But this is no reason for parents not let their guard down when buying toys. Are these available in the market too? Toys are there to teach science. This is interesting. The price is a bit high but a person loving a thing will go to any extent for that.